“Make way, mateys!” The Billy Bowlegs Torchlight Parade sponsored by Step One Automotive Group will set sail from downtown Fort Walton Beach at 7 pm on Monday, June 3rd. 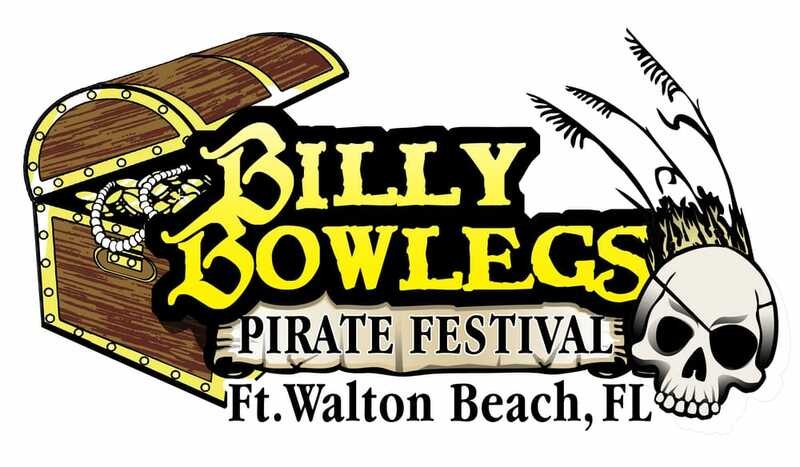 To celebrate their victory over the City of Fort Walton Beach, Captain Billy and the Krewe of Bowlegs will share their wealth (glittering beads, treasures and doubloons) with a lively crowd along the parade route. The parade will begin at the corner of Eglin Parkway and 1st Street. It will then continue north on Eglin Parkway beyond Uptown Station, dropping anchor near Hughes Street. Parade watchers will be amidst colorful costumes and festive music. The Torchlight Parade boasts almost 100 floats, boats, vessels, marching units, and visiting Krewes. And, of course, those infamous Billy Bowlegs Pirates! If you’d like to join in the merriment yourself, please click here for a parade application. The sooner you register, the better – the cost rises as you get closer to parade time.